Check out this Awesome Paint Job! 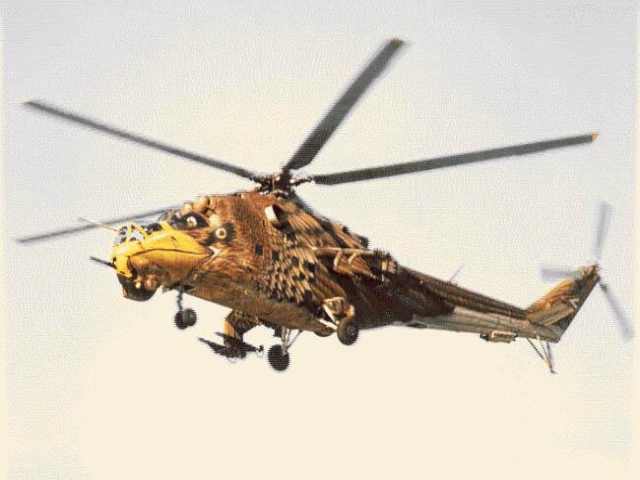 This is what some of our boys across the water did to their helicopter. Some Afghan is probably freaking out right now. The story is that this very special Mi-24 helicopter is presently flying in Afghanistan, where it is no doubt causing quite a stir.